Shelby moved to Southern Maryland after living in West Germany with her military family for over 12-years. 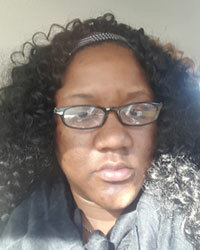 She's graduated from Brightwood College and is currently taking courses for her Masters in Cybersecurity and Professional Real Estate Development and worked in a very fast past environments for several prestigious real estate firms and government agencies delivering exceptional customer satisfaction and community involvement. Shelby's been a licensed agent for 10-years. Although, she started out in commercial real estate development where she submitted and tracked Detailed Site Plans, (DSP) for county approval for a former Developer in MD she really enjoyed customer interaction and involvement with a results-driven mindset. In her free time, Shelby loves volunteering at her kid's lacrosse, basketball, and soccer games and being involved in community-related activities that bring communities together while promoting sustainable economic growth and out-of-the-box thinking that execute and deliver creative real estate solutions for her diverse community.Shelby also enjoys watching NFL football, but her team the San Francisco 49ers have been less than successful so far, but she's hopeful they can still turn things around and go to the Superbowl; fingers crossed. Grateful, for a great community of friends and neighbors, Shelby is actively looking for new innovative ways to support military families and veterans transition into civilian life where they're supported, serviced and sustained. In closing, she really cares about her community and has a t-shirt to prove it - Well, it's a few overemphasized but very well-written goals and action steps really. Favorite Quote: "A successful woman is one who can build a firm foundation with the bricks others have thrown at her." Favorite Quote: "Never let success get to your head; never let failure get to your heart." Favorite Quote; "In order to succeed, we must first believe that we can."